If you do not know, screen overlay is a very usefull feature on android device, its what makes some apps able to appear on others eg facebook messenger chat icon. This annoying screen error usually happens mostly on devices running on android 6.0 marshmallow when you need to grant permission of things such as camera, microphone, contacts, storage etc to an app. 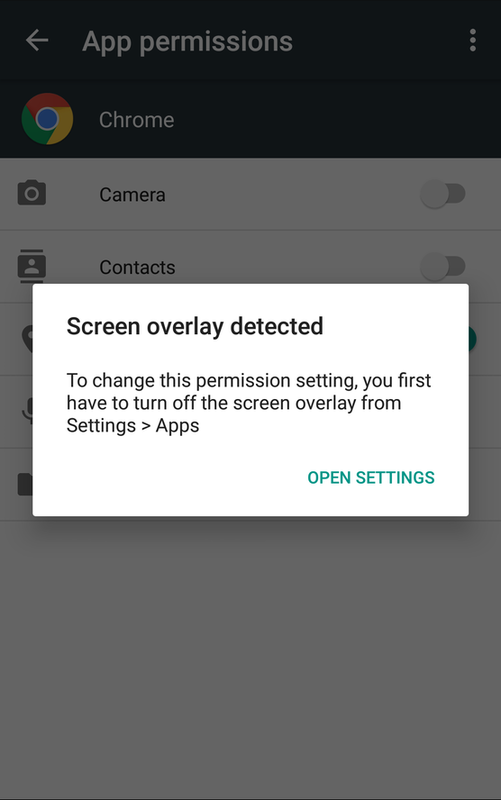 If screen overlay is active on some background app, the error "Screen Overlay Detected" appears on the screen. You need to disable it so that you will be able to use the app which you want to grant permission on. 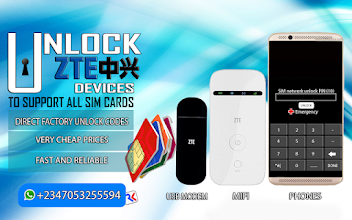 The following below are just ways you will use to stop this error on your android smart phone. A list of Apps with screen overlay present will appear. Just select the apps and turn screen overlay off one after the other. If you are using Samsung device, the process above is a lil' bit different. On the drop down menu, select Apps that can appear on-top. 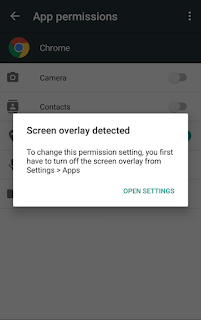 You will see a list of apps with screen overlay active. Just disable the overlay feature on them one after the other. Screen overlay error will not appear again after doing this.